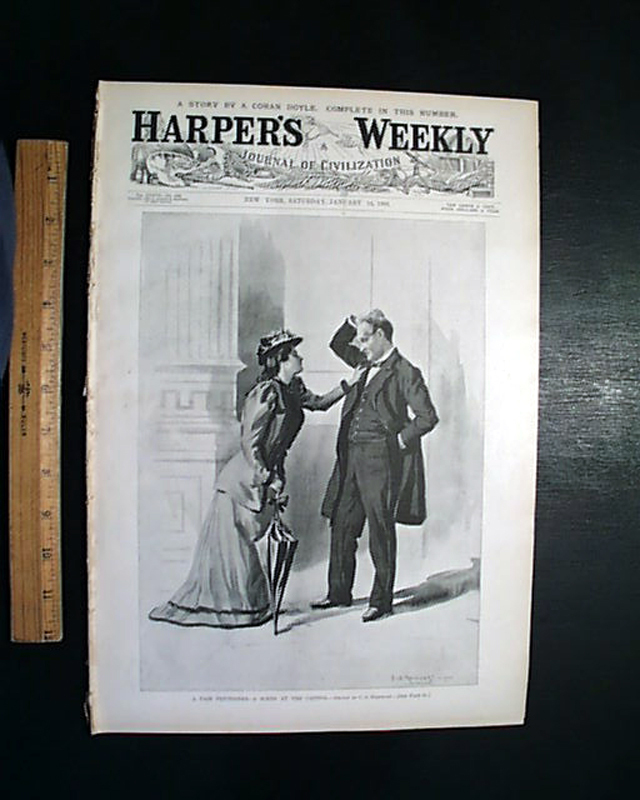 HARPER'S WEEKLY, New York, Jan. 14, 1893 The prime content is certainly the 2+ page publication of: "The Adventures of Sherlock Holmes - The Adventures of the Card-Board Box" by Arthur Conan Doyle. 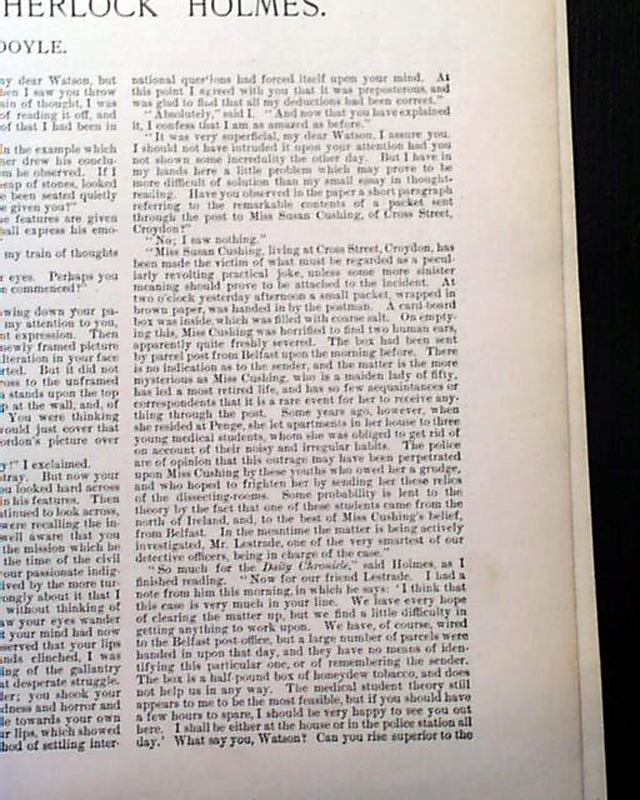 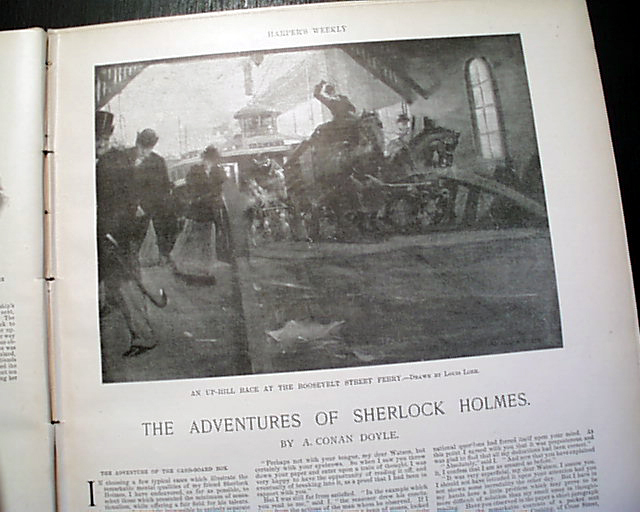 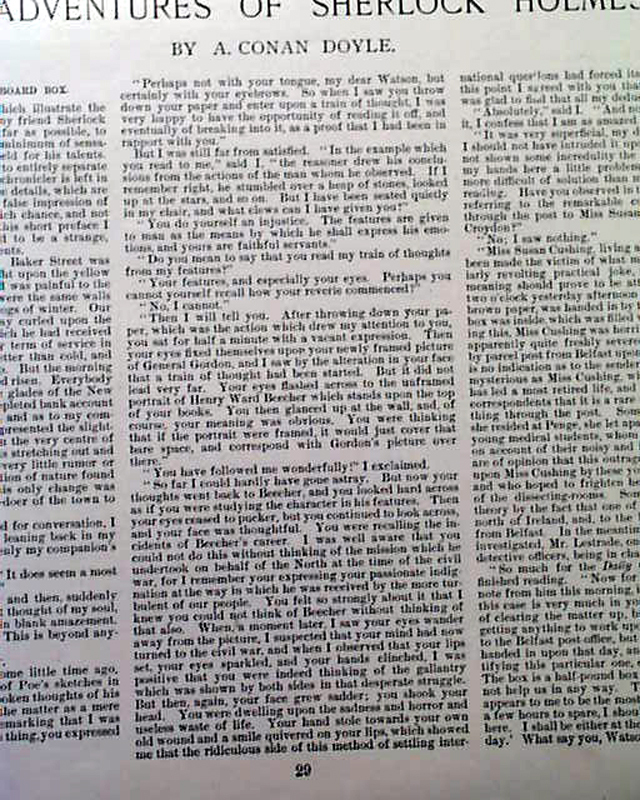 This was the very first appearance of a Sherlock Holmes story in any American periodical. 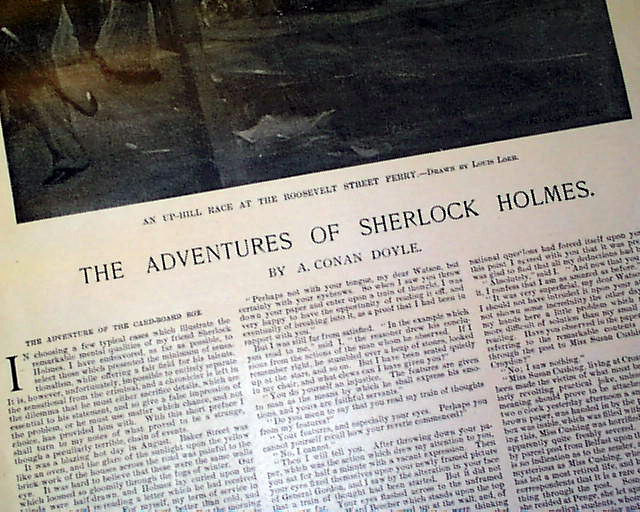 Note that above the masthead is: "A Story By S. Conan Doyle, Complete In This Number". 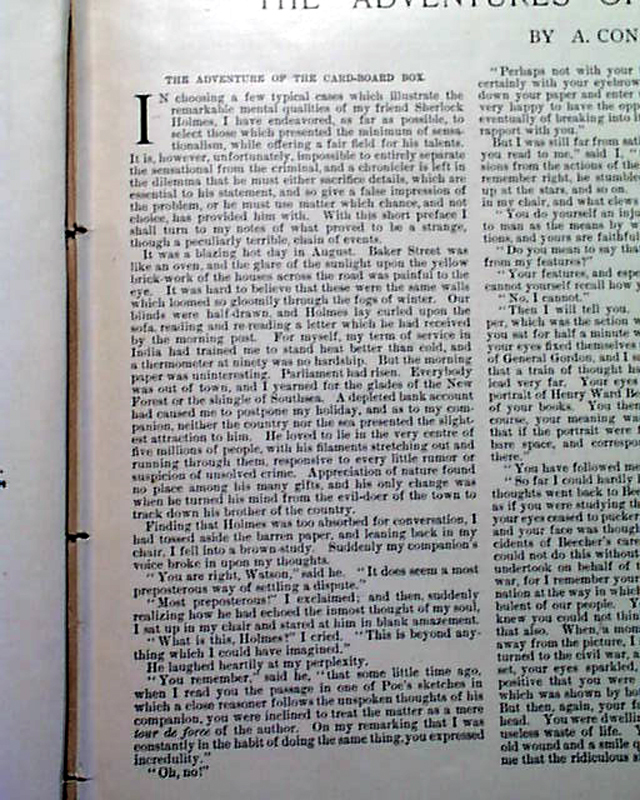 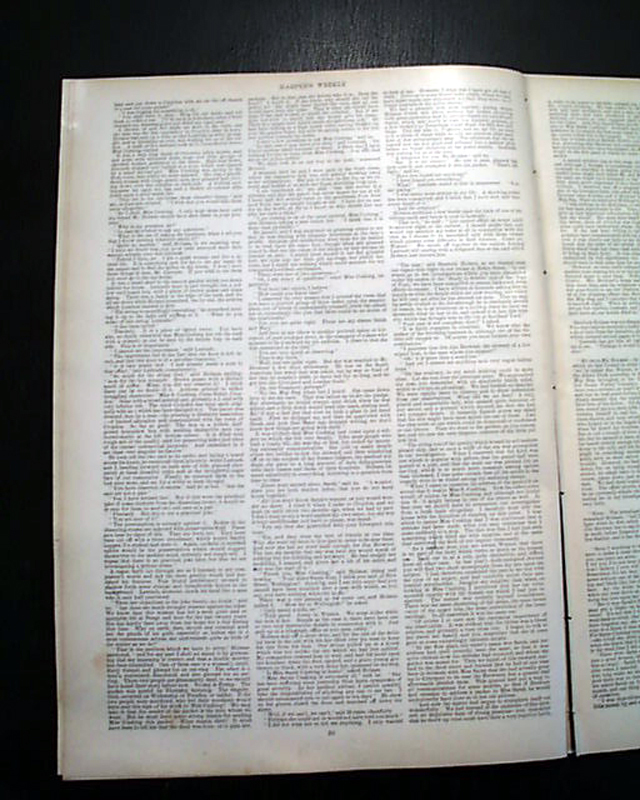 The front page is a full page print of: "A Fair Petitioner--A Scene at the Capitol". 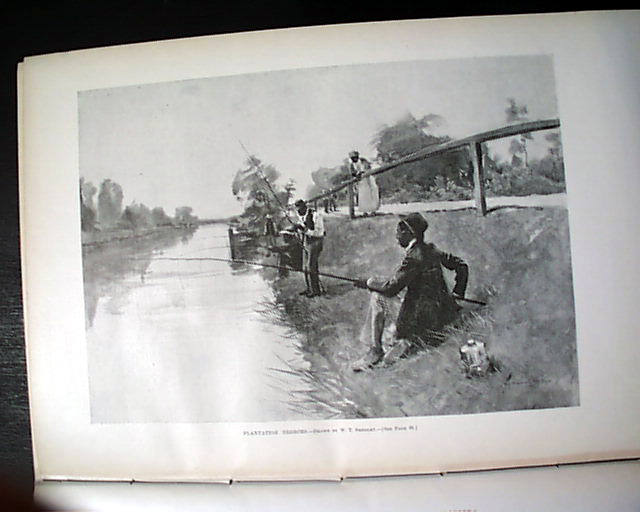 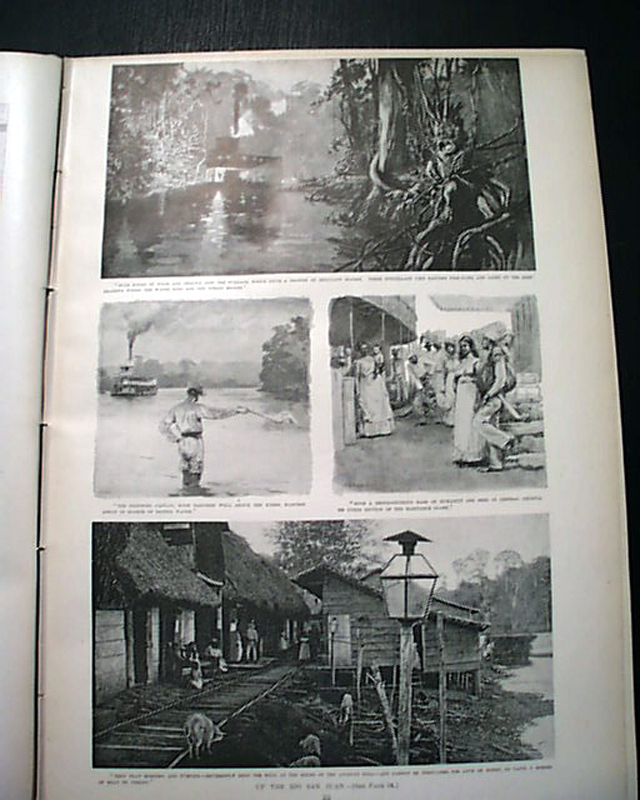 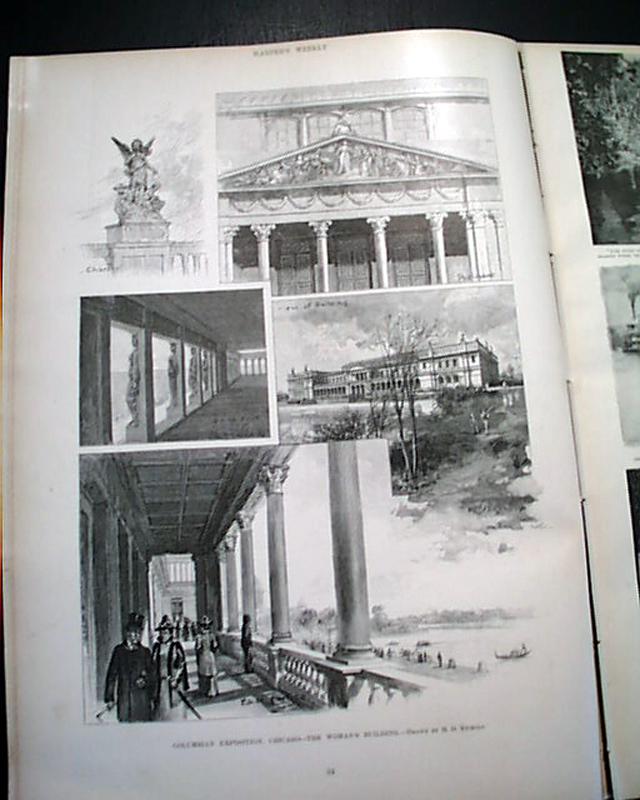 Other prints within include: "The Shaft of the 'Umbria' "; a full page of 5 prints on the: "Columbian Exposition, Chicago--The Woman's Building"; a full page with 4 prints of: "Up The Rio San Juan"; several pages on: "Iron In Decorative Design" with several prints; a full page of: "Plantation Negroes" showing them fishing; and other prints.